In Xanten I had to change the brake pads at the back wheel of my folding bike. The pads were completely down. After half an hour enforced break I was able to continue the journey. I passed the “fast breeder” of Kalkar, who never brooded. 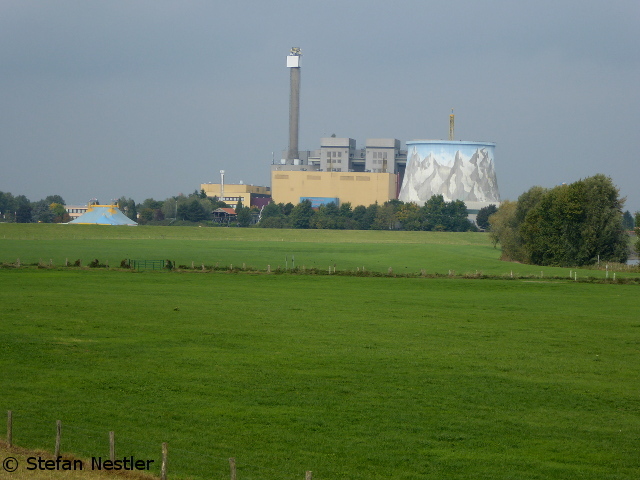 After strong protests the nuclear power station, which had been completed in 1985, was never connected to the grid and is considered one of the most expensive industrial ruins in Germany. Today, the facility is used as a leisure park, the cooling tower became a climbing wall. 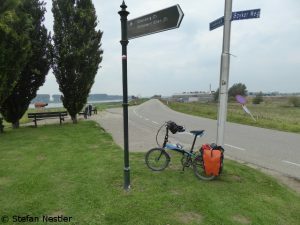 I crossed the Rhine bridge from Emmerich to the right side of river. So I avoided an overpass with the ferry in the Dutch town of Millingen, which drove only every hour. I only realized that I crossed the border on the dyke because the name of the road on the signs changed. And the quality of the bike paths increased enormously. 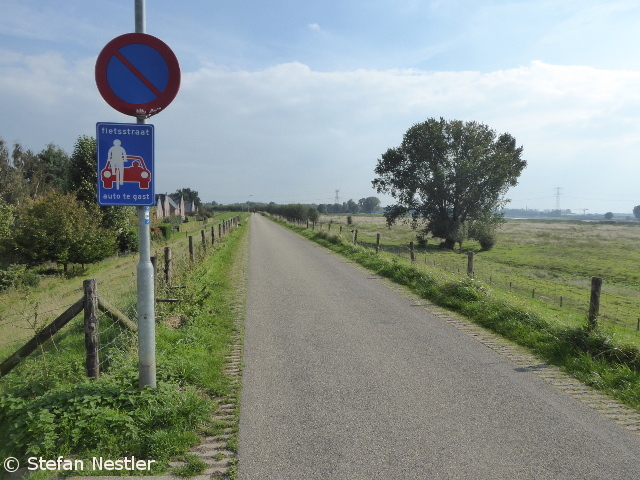 In the Netherlands you really feel like being taken seriously as a cyclist. No matter where you want to go, whether the road is wide or small, there is always a bike path. Almost always without the road holes or other damage to the covering which you find on many cycle paths in Germany. Also the signposting of the routes is first class. And the car drivers are reminded that they should take care of the cyclists. “Auto te Gast”, the car is the guest, is written on a sign, which marks a „Fietsstraat“, a bike road. The priorities are simply shifted. 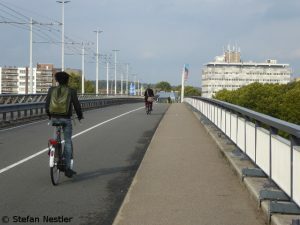 It was a giant fun to enqueue with my little folding bike in the convoy of Dutch “fietsen”. I was rolling quite comfortably. 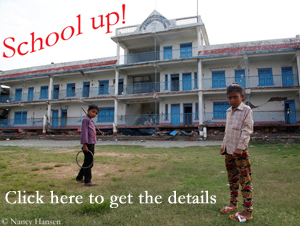 After ten days of my donation ride “School up! River down!” my body is no more able to ride faster. But even so I come forward. 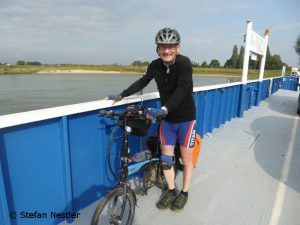 Today I stopped after more than nine hours and a distance of 120 kilometers in Wageningen, 25 kilometers behind Arnhem. So I far I have managed to ride 1,292 kilometers since the start at the Oberalp Pass in Switzerland on Monday last week. 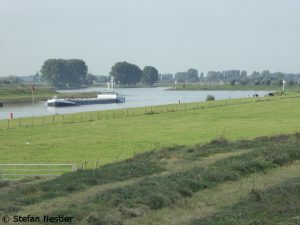 The mouth of the Rhine near Hoek van Holland is only about 200 kilometers away. Slowly I start to believe that I could reach my goal in the given time window until Friday. Keep your fingers crossed! 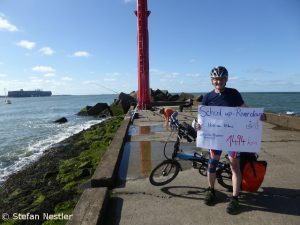 My tired legs still remind me of the 1494 kilometers which I have ridden with my folding bike in twelve days from the source of the Rhine near the Oberalp Pass in Switzerland to the mouth of the river into the North Sea near Hoek van Holland – in order to collect donations for our campaign “School up!” to rebuild the school in the Nepali mountain village of Thulosirubari.